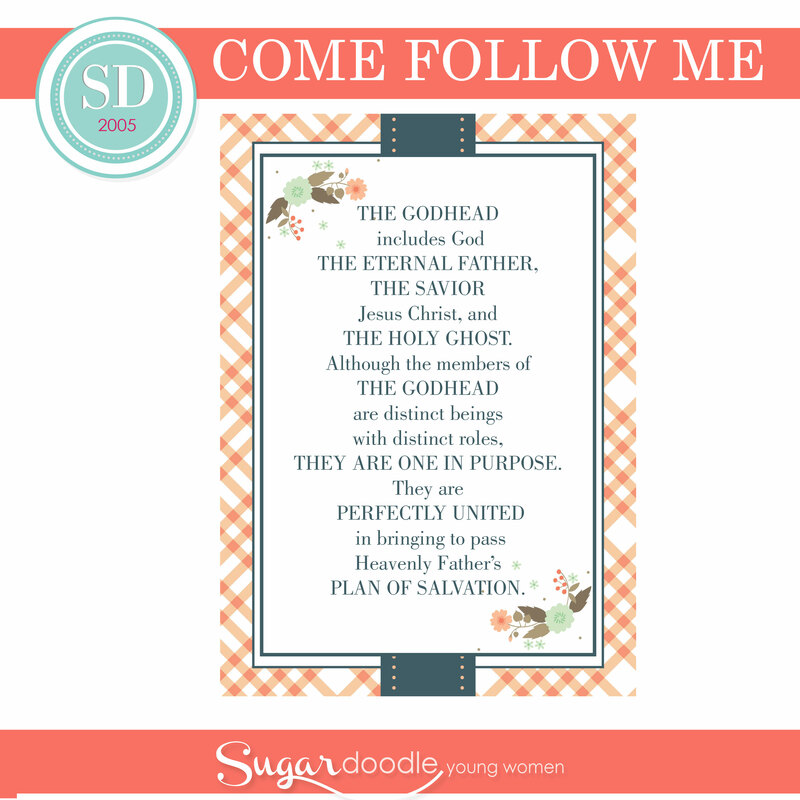 This month’s theme for the Come Follow Me curriculum is The Godhead. I LOVE teaching and learning about these things. There are SO many simple truths that come from these lessons! There have been countless times in my life where the knowledge that “I am a daughter of my Heavenly Father, who loves me” has brought me so much comfort and peace, and I know our Young Women desperately need this knowledge as well. I LOVE all of these kits, and they are now available in a Bundled Pack! All FIVE lessons bundled into a discounted price! You can find the Bundled Pack here. Here are a few highlights from each of the printable lesson kits for this month. 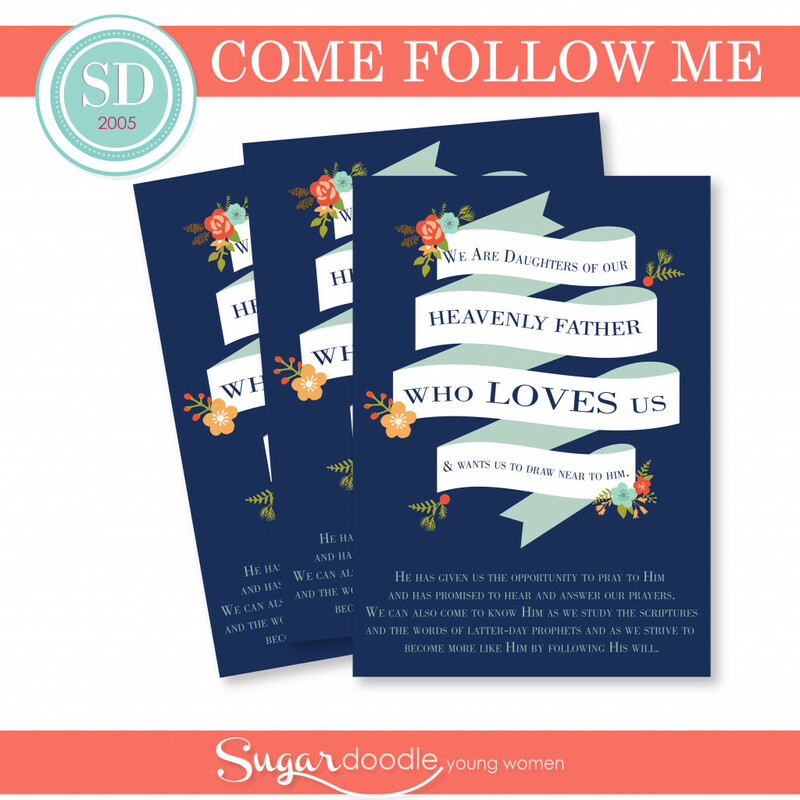 I am in LOVE with this printable from the lesson, “How can I know my Heavenly Father?”! What a great visual for the girls to really remember who they are! 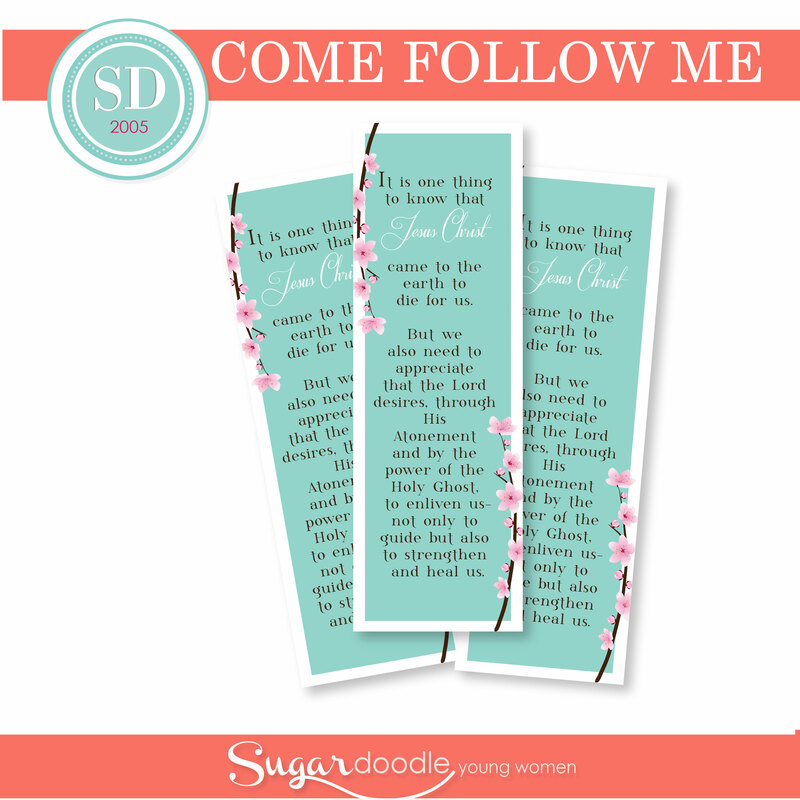 This printable and kit can be found here. 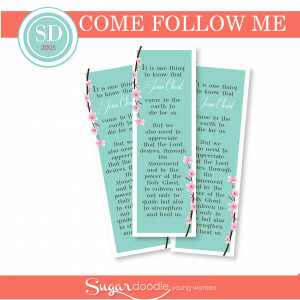 These cute bookmarks come from the kit, “Why is Jesus Christ important in my life?” The bookmarks along with the other printables from this kit can be found here. For the lesson, “Who am I, and who can I become?” I made this kit to have a bit of a storybook theme, and LOVE all of the printables included. You can find the kit here. I think this is my FAVORITE printable from the entire month! 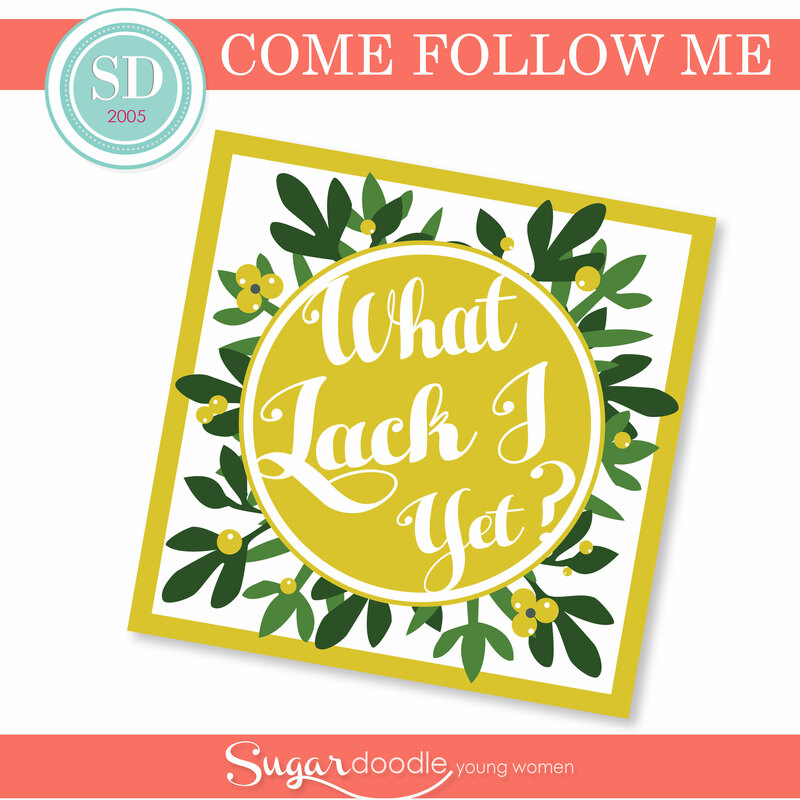 This tag is the PERFECT reminder to ASK, “What lack I yet?” Since January is the month to set new goals, I love this reminder to ask Heavenly Father what He would have us do or change. 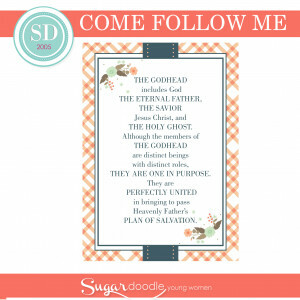 This printable tag is part of the printable kit from the lesson, “What are the roles of the Holy Ghost?” and can be found here. 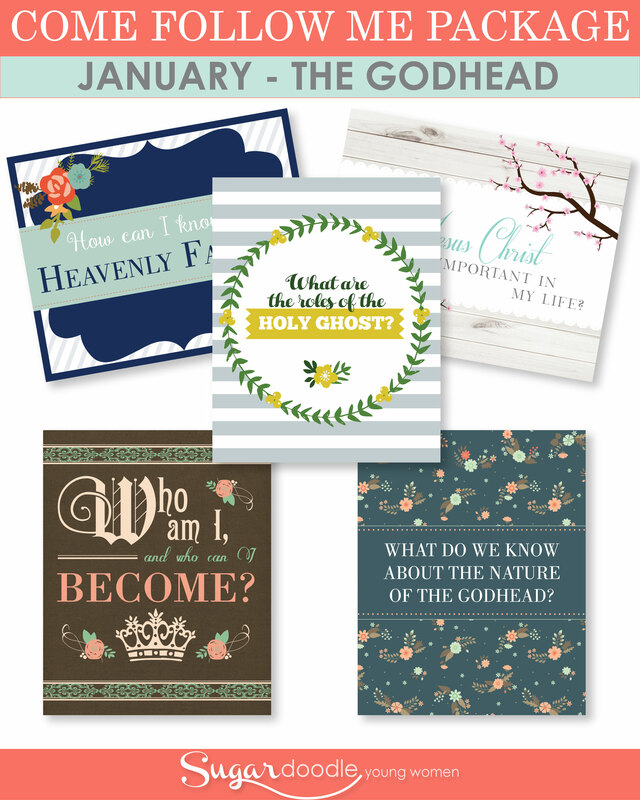 All of these lessons can be purchased in the Bundled Pack found here.I hope these printables can help guide and inspire you in preparing and teaching your lessons this month! 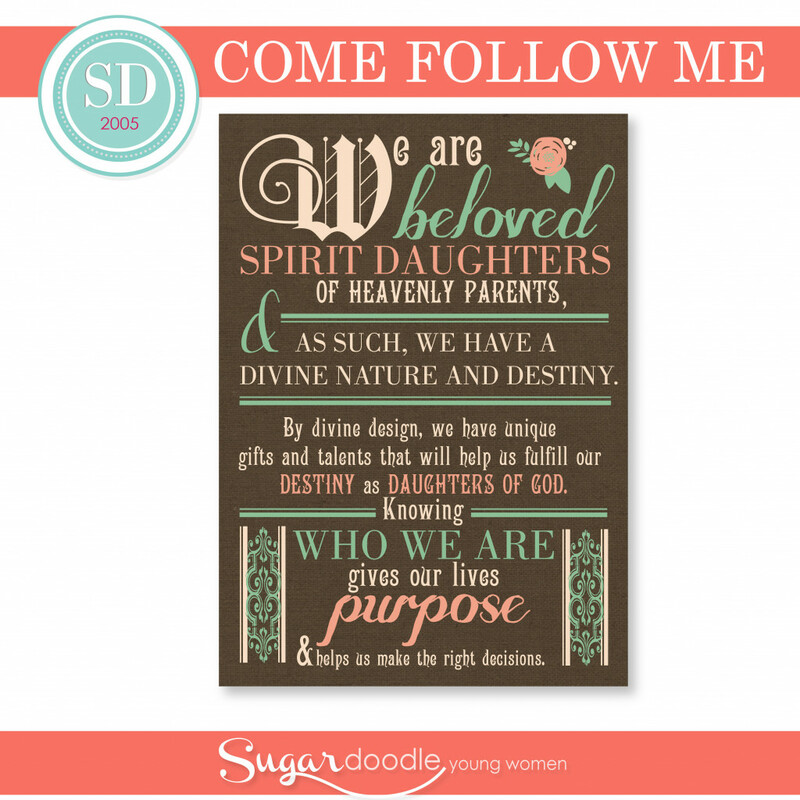 This entry was posted in Quotes, Recipes, Young Women, Young Women Come Follow me and tagged Come Follow Me, Melanie B., SageWood Ave Designs on January 7, 2017 by Melanie Biddulph.